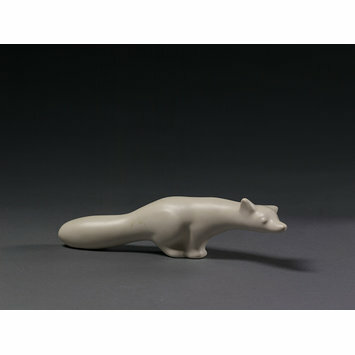 Figure of arctic fox, cast white earthenware. 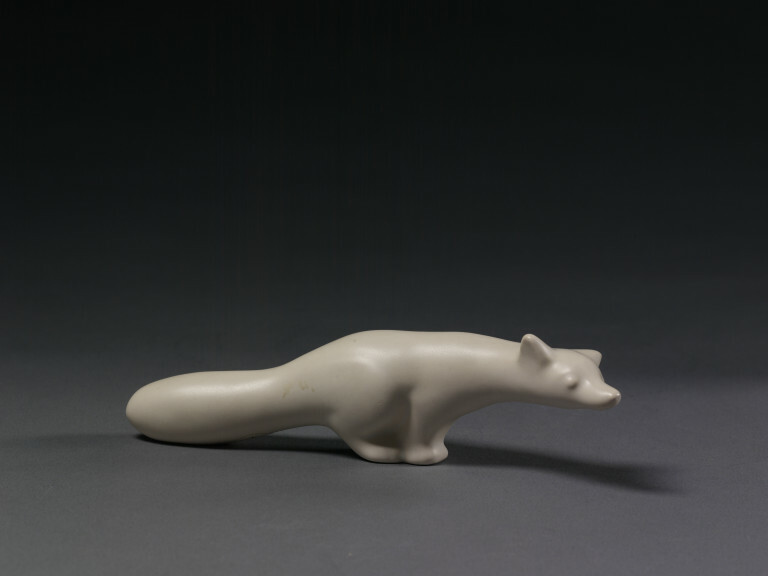 Arctic fox, cast earthenware, designed by Marion Campbell, made by Hornsea Pottery Co. Ltd. (Ulrome pottery), England, ca. 1956.